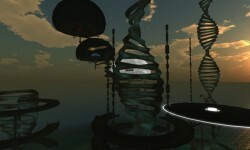 Learning in a virtual world? See examples of education and nonprofits in Second Life, the leader solution for virtual meetings, events, training and simulations. Born from a dream of Carlolello Zapatero, Museum Island is a collection of more than 30 monuments of mediterranean area and middle east. A wonderful place to be visited, or to take nice photos. Admire the artworks and listen to great music at this peculiar event. 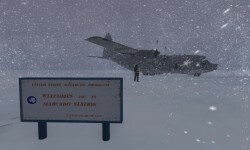 In the interactive education experience Ice Core, students enter the virtual world Second Life to begin an exciting scientific expedition in Antarctica. Participants will learn how scientists live and work in this frigid environment as they collect and analyze ice cores that provide clues into Earth's climate history. 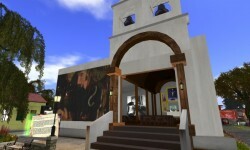 This virtual learning adventure was developed exclusively in Second Life by CNDG as part of a larger edtech initiative that combines virtual worlds and learning in higher education. 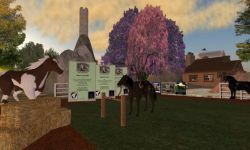 Take a horse-drawn carriage tour of Nonprofit Commons, an area that contains more than 150 nonprofit and social benefit organizations in Second Life. The Virtual Black History Museum is an awareness project that takes a look at the timeline of events that led from the first group of slaves in what is now the United States through the brutality of Rodney King in 1992. There will also be scheduled discussions on the current events that the past has led to, as well as the impact of those who have contributed to the growth of the community. 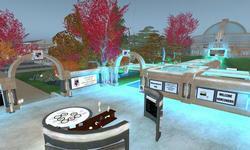 Visit a virtual library in Second Life that was developed by Stanford University's Libraries and Academic Information Resources (SULAIR). 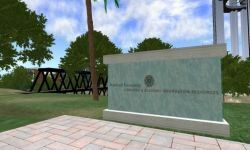 The American Cancer Society provides support and resources to cancer patients, survivors, and caregivers through this Second Life destination. Visitors can directly contact the American Cancer Society or connect with volunteers who provide answers. If you’re interested in becoming a volunteer, visit the Relay For Life or Making Strides Against Breast Cancer areas on this island. Rockcliffe University Consortium is an online nonprofit organization dedicated to the advancement of science, education, and research in 3D virtual environments. There are free workshops and forums provided on a regular basis, as well as live music and movies. There's also a theater, art gallery, sandbox and a full academic research library. Explore the Smithsonian Latino Virtual Museum's world-class collections through video, audio and slide presentations. TejanoTech, established in 2009, is the virtual campus of the University of Texas at San Antonio. Visitors are invited to enjoy the area, but are asked to respect the education-oriented mission of the campus. Opened in 2014, The Care and Hope Center is a not-for-profit information hub to instill awareness on the horrors of domestic violence. It offers free information and classes in a safe and friendly atmosphere. The center has the approval of LoveIsRespect. All sales and proceeds from the main store or events go towards the maintenance and operation of the mainland Care and Hope Center.